We received some very sad local news this weekend. Ms. Linda, the kind-hearted waitress at downtown staple all-night diner Hermitage Cafe, has recently been diagnosed with stage 3 cancer. If you have not had the pleasure of spending time at Hermitage, there’s really nothing not to love about it. From the generous artist-budget meal of biscuits and coffee to the faded country headshots juxtaposed with hand-drawn menu items, it has held its place as one of the cornerstones of Nashville’s character as a city. 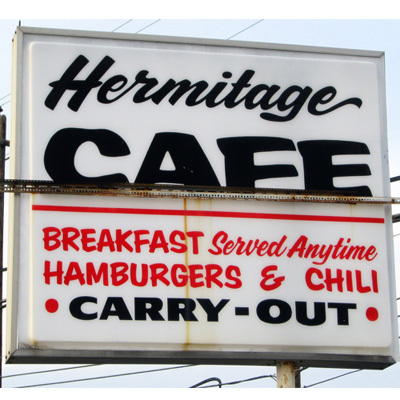 And probably the most memorable part of the Hermitage Cafe experience is seeing the same waitress, Linda, pretty much every time you stop by.